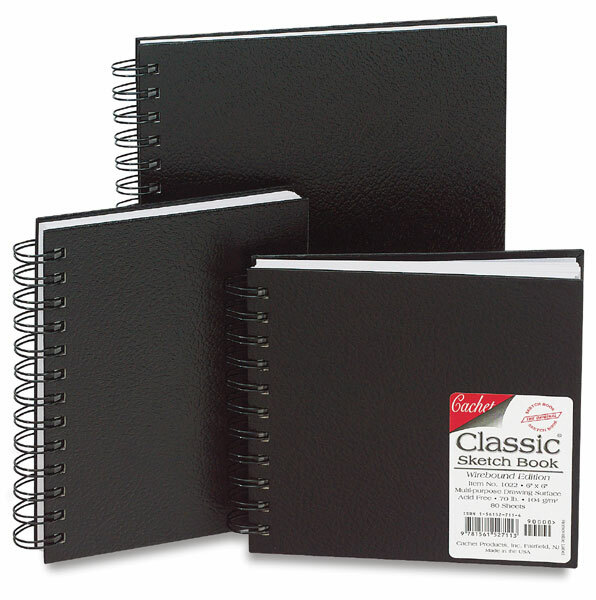 This classic spiral bound sketchbook contains high-quality, medium-surface drawing paper. The long-lasting black, embossed hard cover is water and fray resistant. Each sketchbook contains 80 sheets of 70 lb acid free drawing paper. Bound on the long side.